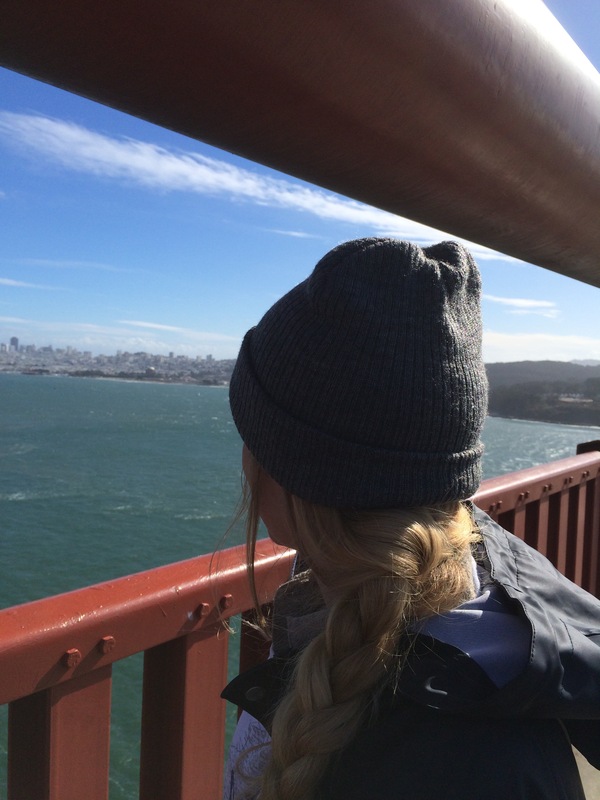 Just takin’ a little walk…over the Golden Gate Bridge! The parking Gods were with us. Someone pulled out right in front of us. Parking was only $5! Parking is NEVER only $5 in San Francisco. It turns out there is a lovely gift shop at the bridge. I don’t know why this comes as a surprise to me but it does. Near the gift shop there is a cool representation of what it takes to build this magnificent bridge. Did you know that those gigantic orange cables holding up that thing is made of thousands of of smaller cables? There are a few interactive toys/models to show folks the engineering behind the bridge too. And then there is the bridge! Just walk on out there. Put earthquakes out of your mind. Put tsunamis from the Rock’s new movie out of your mind. Pay no attention to the police officer yelling at someone doing something they aren’t supposed to over the intercom. Take some fun little selfies. And then behold the beauty that is the Marin Headlands in one direction and the most beautiful city in the United States in the other. 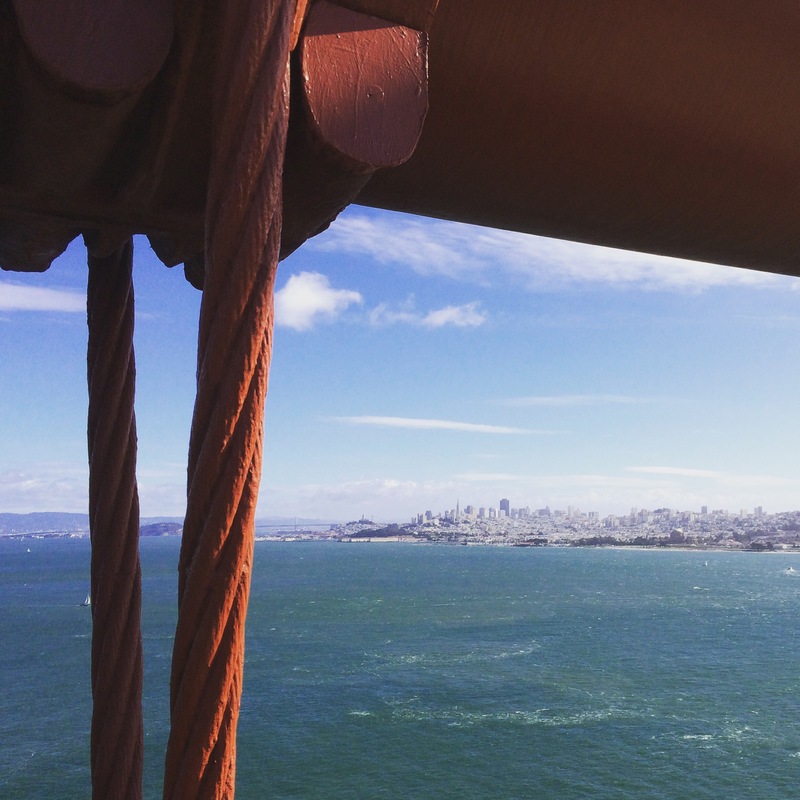 (Reference some of my favorite lesser known spots in SF: Botanical gardens, ChinaTown, Japanese Tea Garden, Coit Tower…) You have a birdseye view of Alcatraz and Angel islands. You can see the new span of the Bay Bridge and all its glory connected by Treasure island. You can see Berkeley and Oakland. You can see seals frolicking in the water below. Wait, don’t look down! You can see sailboats at 90 degree angles. You can feel the vibration of the bridge moving by both natural forces and the hundreds of cars zooming by. It is loud, very loud and the wind is whipping up in your ears making it seem even louder. You dodge runners and bicyclists as well as other tourists walking with their cameras up not paying attention to anyone or anything around them. We turn around 3/4 of the way over the bridge because it is a long darn bridge and the loudness and the wind is getting to us all. It never fails to surprise me that every time I go to the City I have a good time and can experience something new. I know it will be this way for the rest of my life. Do you think there is anyone out there that doesn’t recognize this bridge? There were once cannons adorning this little section of the bridge! Used to have toll takers now what do you do if you don’t have a fastpass? Cousins everywhere! I never thought I would have an Egyptian cousin or a cousin from Pacific Grove and look at these two lovely ladies! 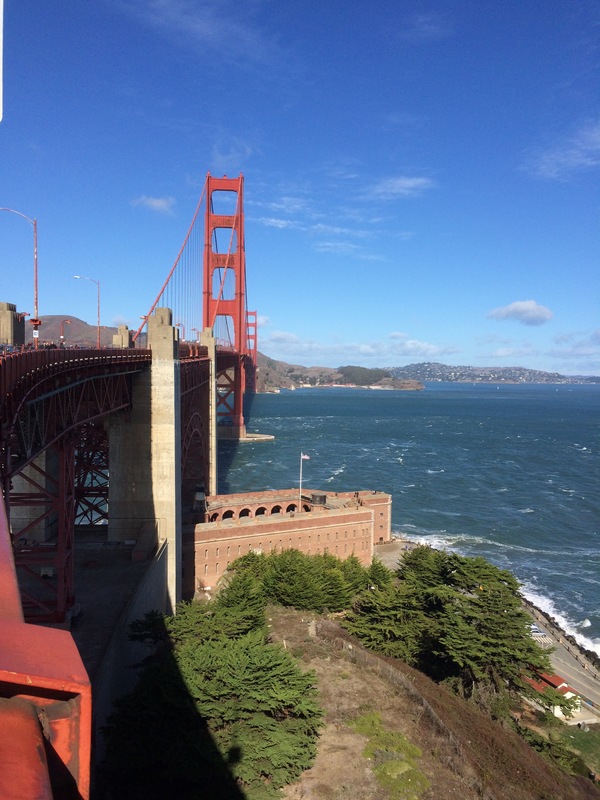 To read about my other San Francisco exploits click here! Looking good. And with a main span only 130 metres shorter than the UK Humber Bridge! Woah! I’ll have to look that one up. I understand that it it is a very effective way of ending your life. As Phil Donahue said – “A permanent solution to a temporary problem”. Aside from that we are quite proud of the Humber Bridge. The visitor areas have no parking charges and it costs only £1.50 to cross in a car. Nice! I think our bridge crossing is now $6 or $8. I can’t remember which. The strange thing is you can no longer pay with cash or card. If you don’t have the pass they send you the billon the mail. Crazy. Probably cuts down on traffic though. Try still have toll takers in the bay bridge though. £1.50 sounds like a bargain then – and they reduced it a couple of years ago from £3. It is rather quaint, drivers still have to stop at a toll booth and pay cash! Reduced it!? That is something I have NEVER seen in SF. I know what you mean by “Photo doesn’t do this view justice” but I like how you framed it with the cable. Thanks. Always looking for something different. Ever walked over the bridge? Yes. But, even better, my first time across was during the Alcatraz Triathlon. 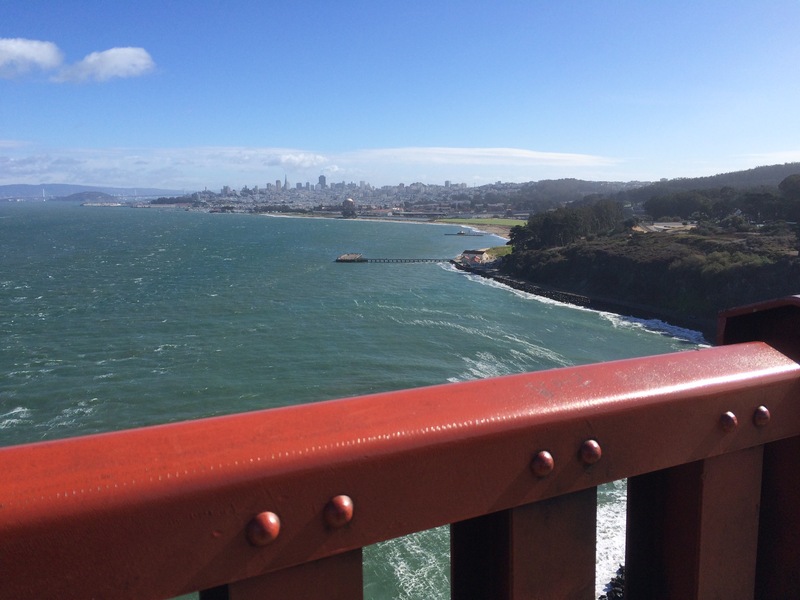 I swam from Alcatraz, rode my bike across the bridge, and ran most of the peaks in Marin Headlands. I always think of that race when I cross the bridge; a lot of boxes were checked off by noon. OMG. You did a jailbreak swim? Did you swim all the way with the Sharks? You’re nuts. Congrats on triathlon. Some days I get worn out just driving that far. I’ve swum it a couple of times. The currents are worse than the sharks. It must be terribly cold too. How far is it? I’ve walked that bridge before, it’s uber impressive indeed! I also remember the signs for jumpers. That’s not the way I would want to go. No way, too cold and shark filled. I’m with you. I won’t be jumping off any bridges for sure. Grizzly den huh? At least let me get it on film so I can YouTube it and raise funds for the care of your pets after you are gone! Slapping a Grizzly is made for the Internet. Excellent idea! Nobody is slapping grizzly these days. It’d be an Internet sensation. Might even make the nightly news. I think we have something here. We’ll keep that in our back pocket for when we are old and gray! I recommend it. As I mentioned in the post it just never really appealed to me but I am glad I did it! Thank you! What was your favorite part? Cool. That’s high praise. I think my favorite part is golden gate park wit the de Young museum, science museum, botanical gardens, and the Japanese tea gardens. …and the wide variety of glorious food. 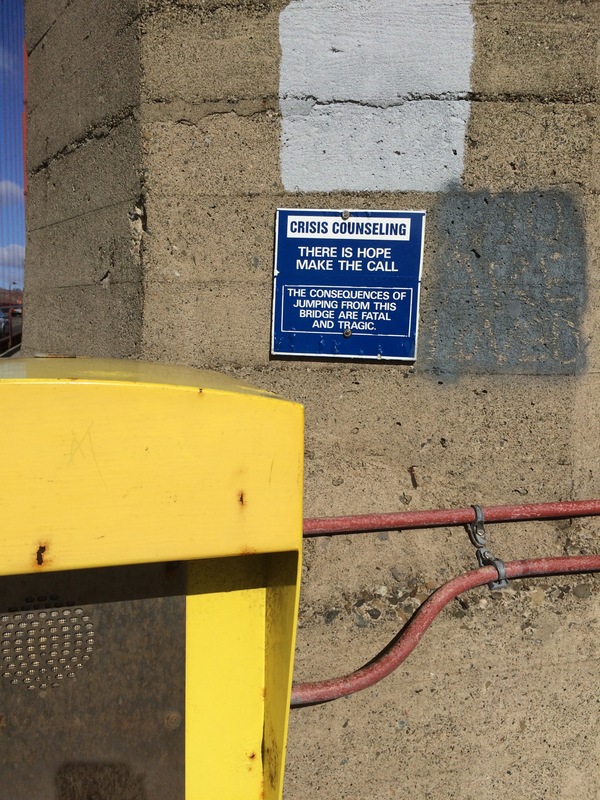 Oh and you now get a bill in the mail for the $7.25 it costs to cross the bridge. We just thought cool…free day. Then we got a bill in the mail last week for it. Which reminds me, I need to pay that. Your dad had so many awesome stories! Very nice Jenny. I once drove on THE bridge, sailed under (like a good tourist), but I didn’t know you could walk it. I walked the Brooklyn bridge, but the Golden Gate. Information stored away for future trips. It’s ok. Typos and grammatically incorrect replies are welcome here. Yes, GG adorns SF. And so many great views of the bridge and the city. Recently we have been going to Battery Spencer view point, love the view from there. Yes, that is a most pristine point isn’t it!? How is parking down there? Thanks! Yes my cousin and husband were pretty interested for sure! Amazing engineering. Can’t believe it was built when it was built. Thanks for the comment. Give a warm welcome to Bulldog Travels!! Awesome. Thank you. Love the re-blog. You’re the best. Loved reading this post. 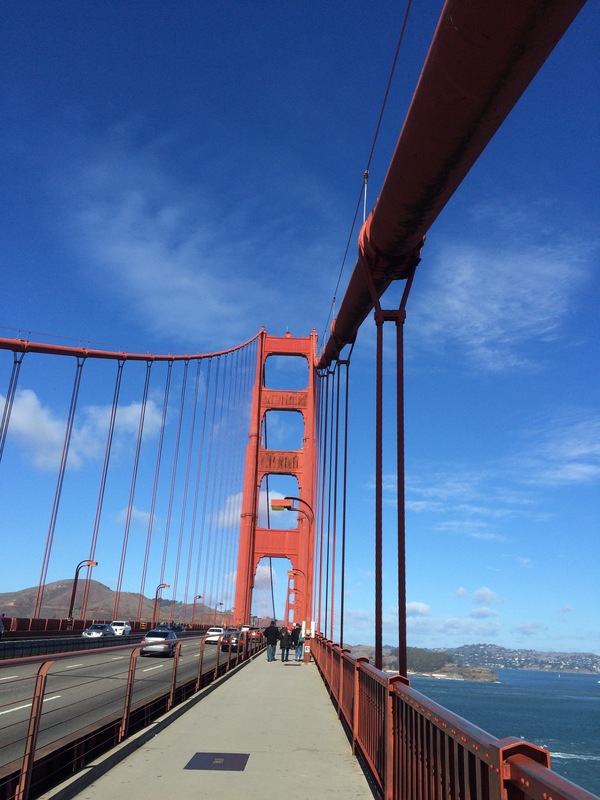 I made it to the Bridge during my visit but didn’t have time to walk it…after reading your post I wish I did. Thank you. I have lived in the area all my life and I have never walked over the bridge before. It took my cousin recommending it to get me to do it. And I’m very glad I did. I would definitely recommend it for anybody visiting the city… Unless they are afraid of heights. It’s good to know you are near my neck of the woods! Thanks for the comment. Where are you at? I have not visit the bridge yet but how I wish I could right now.. Thanks for the comment. Are you living in the area? It was definitely a great experience when I would recommend for anybody living or visiting the city. Thank you for taking me to Golden Gate Bridge this close!! I’m glad you enjoyed it. It’s such an iconic location. Today, I’m introducing a new category called Inspiring Places. My first Inspiring Place reblog is a perfect opportunity to express how the bits and pieces I collect on this site inspire me. I found Bulldog Travels when writing under the pen name Annie Heart. If sites from around the world prompt your words, Bulldog Travels is the place to go and explore the imagination. Thanks so much for thinking of me again. I hope it warms your heart to know that I think of you and your story when I think about the Japanese Gardens now. It does. I’ve reblogged the Sacred Garden story with a link to your post today as well. Thank you. I love it. I am glad you are bringing it back around. Good to hear from you again! It’s snowing on your website. How cool is that!? If you go to your general settings, near the bottom you’ll see a box that says -snow until January 4th or somewhere close to that date. Check it and it will start to snow! I will check that out right now. How cool. How joyous. It is snowing in Paris on my site! Thanks! How fun. Welcome. WordPress does this every year beginning December 1st. I darken my background just so I can see it snow on the entire page. I love it! I don’t see it on the cell phone though. Stunning pictures Laine and an unmistakable location. Yah. It sure is. I’ve lived here all my life and have only now done it.